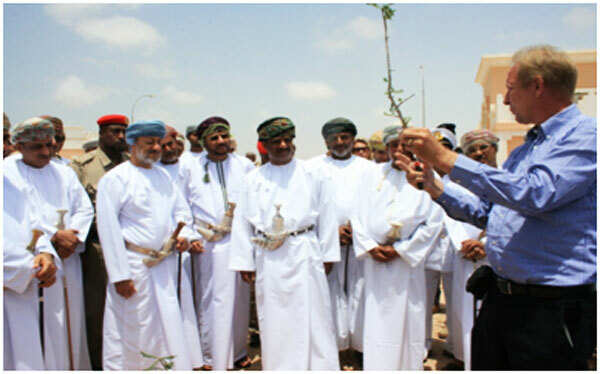 The national campaign for planting local trees in Dhofar province on 2013/03/30 pleased in Dhofar university which targets to end the desertification and cautioning the importance of local plants and allowing the youth to volunteer. 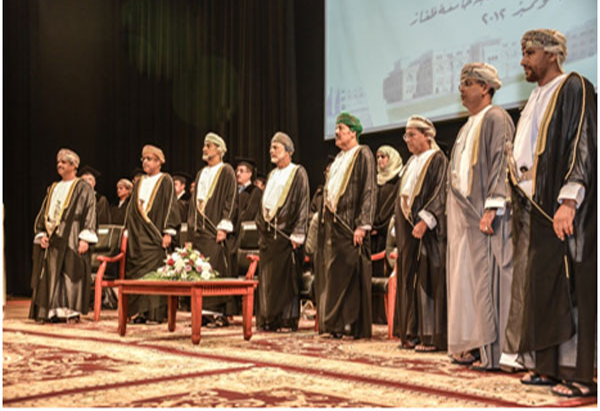 The stage students joined the Albintomaim’s festival for the salala’s civil team in a workshop named (the art of silent acting) on date 2013/4/27 on the general directorate of education and heritage. 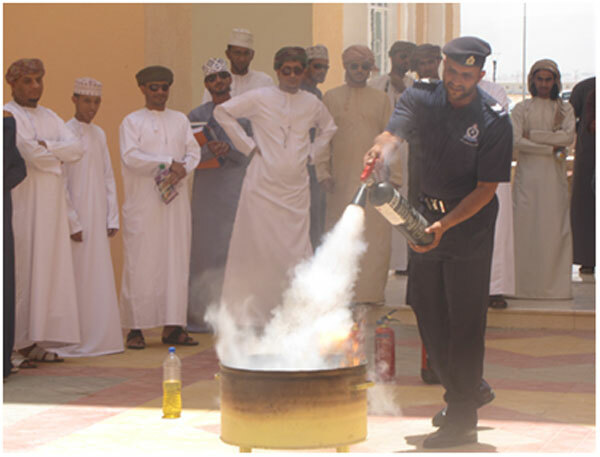 Awareness Lecture under the name of (Civil defense measures in evacuation cases at the educational institutions) and giving a practical lesson in how to deal with fires and the fire extinguishers. 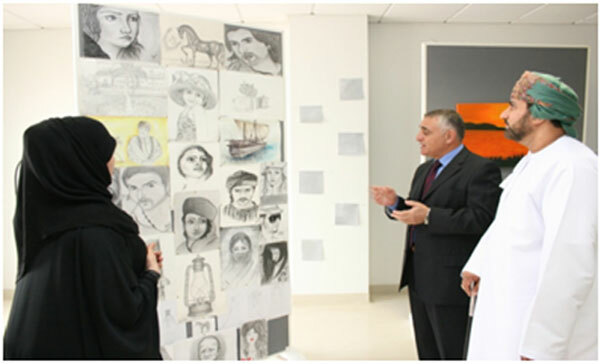 Dhofar’s University students joined in fine arts exhibition (point of creativity) in 19/5/2013 at Dhofar University and it’s the result of a workshop in one month. In which there were diversity paintings due the exhibition. 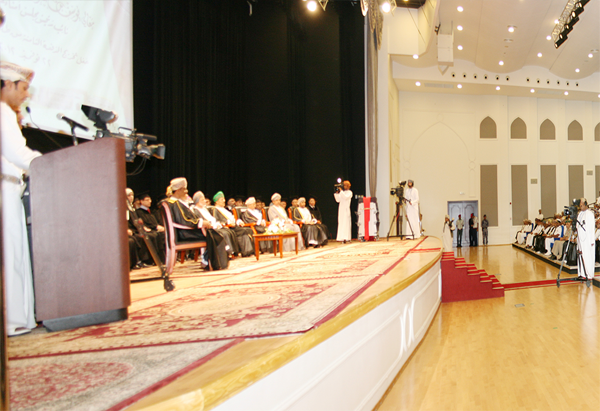 An introductory workshop between DU students and the Youth Commission in 20/05/2013 at Dhofar University. A discuses session on the aspiration of young people (National committee) in 10/6/2013 at Crowne Plaza. 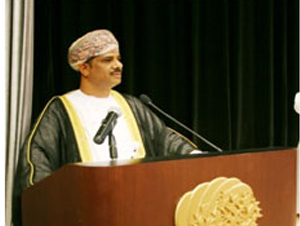 The students club joined in the exhibition of the traffic safety from 12/5/2013 to 16/5/2013 at the department of heritage and culture. 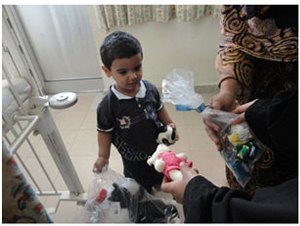 The students club visits the Sultan Qaboos hospital in 30/4/2013 and they give gifts to the sick children.